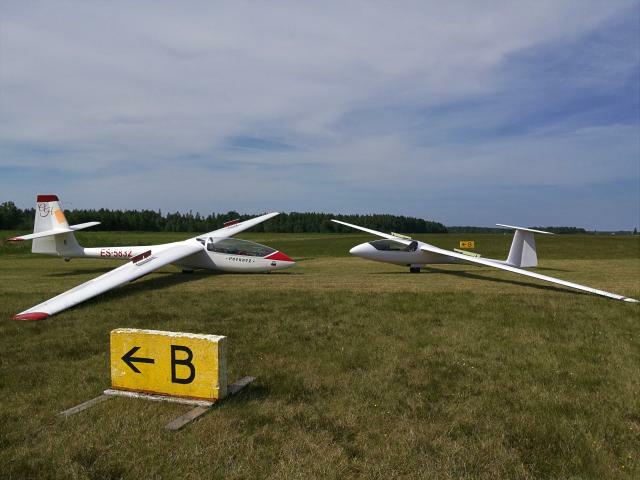 Ridali Gliding Club is the largest gliding site in Estonia. We have large airfield, undisturbed airspace and enthusiastic members. We welcome visiting pilots! The high season is from May to August, but we usually start already in April and make last flights in October. Cloud base is 2600m in May, descending to 1700 in September, lift 2 m/s is OK, 3 m/s is good and 5 m/s we consider excellent. Flights over 500 km distance are frequent, 500 km FAI triangle needs a bit of planning. In June and July we operate 7 days a week. Outside of these months on weekends, but weekdays are also possible with arrangement. We are operating our own zone G2, GND to 4600m approximately 50km radius arond the airfield. All other traffic is advised to report us. Nearest controlled airspace is in 150+ km around Tallinn and Riga, where one would not fly gliders anyway because of coastal influence. 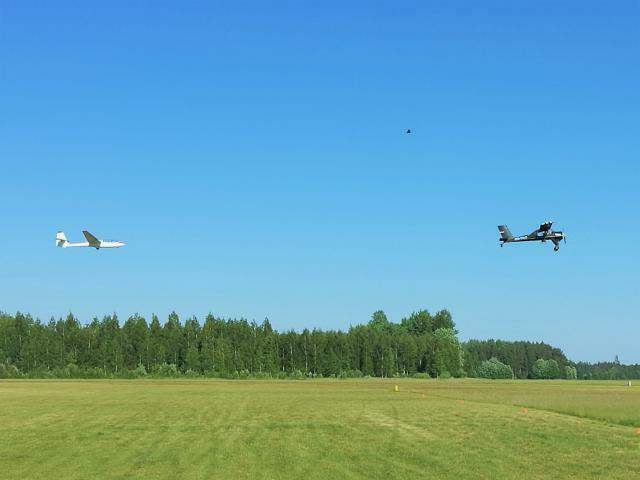 In general, glider pilots enjoy almost deserted airspace. There are several airstrips available to make a safest landing when from the elevation of 500m AGL at any time. Plenty of grasslands provide sufficient amount of outlanding possibilities. Grass 1200m x 300 m, RWY 18 and 36, 90 m MSL. Coordinates 57 56 23 N 026 58 48 E.